If you’re due for a wonderful home-cooked meal, this chicken & mushrooms dinner is it. 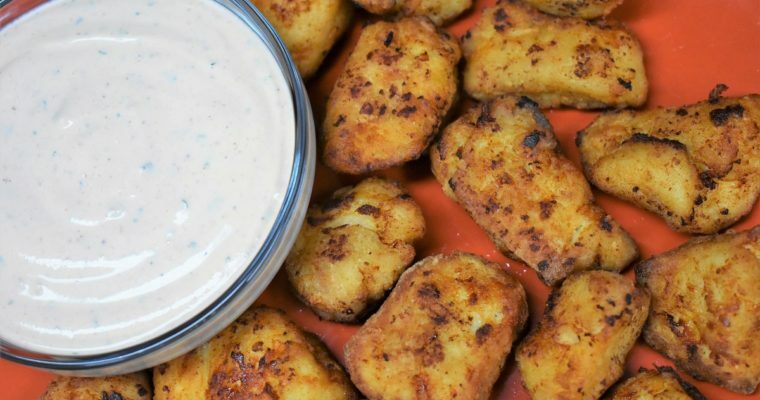 Chicken breasts are pounded thin, simply seasoned with a combination of spices and cooked until golden brown. Then the mushrooms are sautéed in butter with the delicious pan juices to make a flavorful sauce. 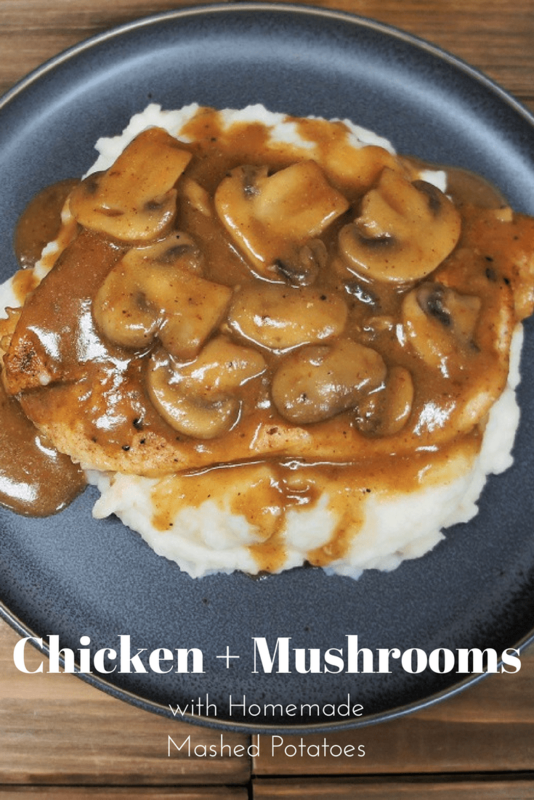 Here we serve the Chicken & Mushrooms over a bed of homemade mashed potatoes for a meal that is worthy of a special occasion. Enjoy! Add the salt, garlic powder, onion powder, paprika and black pepper to a small bowl, stir to combine. Cut each chicken breast in half, lengthwise to make two thinner pieces. Pound each piece down to about ¼ inch thick using a meat mallet. Season the chicken on both sides with the prepared seasoning mix, set aside. In a large, deep skillet heat the olive oil over medium-high heat, add the chicken. Cook 3-5 minutes on each side (depending on thickness) until the chicken is golden brown and cooked through. Make sure the internal temperature of the chicken at its thickest part is at least 165°F. Remove the skillet from the heat, remove the chicken from the skillet and place it on a plate or pan. Cover the plate loosely with a piece of foil and/or place in the microwave or oven, the chicken will stay warm away from drafts. Do not wash the skillet, place it back over medium heat and add the butter. When the butter is melted and foaming add the mushrooms. Cook the mushrooms for 1-2 minutes, stirring frequently. Sprinkle flour over the mushrooms, stirring well to mix. Cook for 2-3 minutes to cook the flour a bit, stirring frequently. Slowly add the chicken broth to the mushroom mixture, while stirring and gently scraping the bottom of the skillet with a wooden spoon or spatula, moving in small circles around the pan. 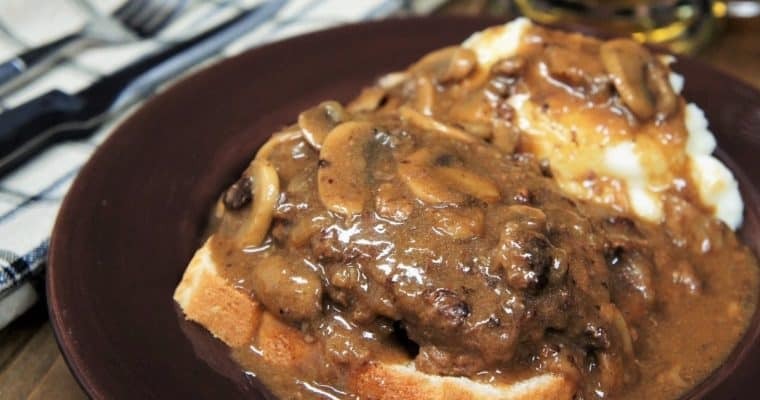 Bring the mushroom sauce to a simmer and cook 5 minutes, stirring occasionally. Taste the mushroom sauce and add salt and pepper, to taste, if needed. Add the chicken back to the pan, turn to coat the chicken with the mushroom sauce. Lower the heat to medium-low, cover and cook about 5 minutes to warm through. 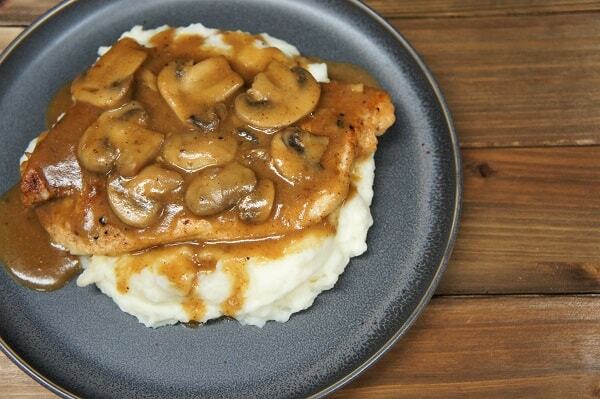 Serve the Chicken & Mushrooms over a bed of homemade mashed potatoes, if desired.